Amid the flurry of media attention surrounding the release of Pokémon Go last summer, a narrative began to emerge underneath the outrageous stories about people finding dead bodies and disrespecting the Holocaust Museum in their thirst to catch ’em all. The game, players were reporting, was good for both their mental and physical health, fighting their depression and social anxiety by motivating them to get out of the house, get some exercise, and meet new people. These little pocket monsters were helping people as well as entertaining them, and we could all feel good about playing with them (minus all the privacy concerns, but that’s another story). But it wasn’t always that way. That night, at 6:30 p.m. local time, more than 37 TV stations aired the 38th episode of Pokémon, “Dennō Senshi Porigon,” translated as either “Electric Soldier Porygon” or “Cyber Soldier Porygon.” The episode follows Ash, Misty, Brock, and Pikachu (or Satoshi, Kasumi, Takeshi, and Pikachu, in the original Japanese) as they venture into the Poké Ball transfer system in search of Porygon, a digital Pokémon that has been kidnapped by Team Rocket in an attempt to steal other trainers’ Pokémon from inside cyberspace. 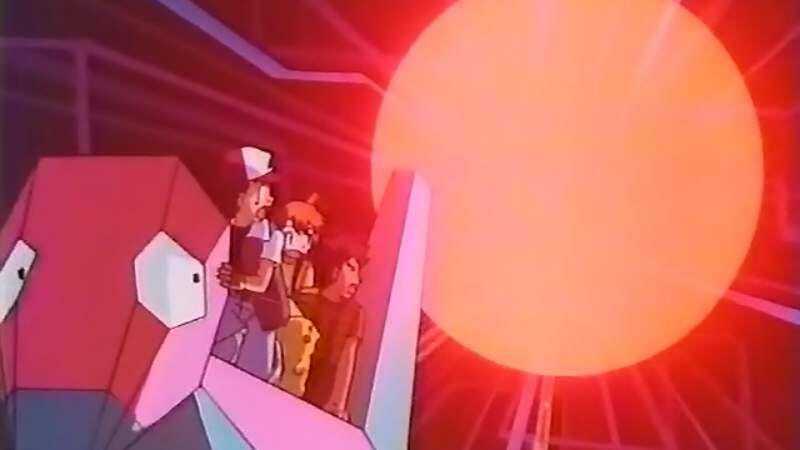 Twenty-one minutes into the episode, Pikachu launches a thunderbolt attack against anti-computer virus “vaccine missiles” and they collide in mid-air, setting off red and blue lights quickly flashing for a strobe-like effect called “paka paka.” Almost immediately, parents began calling for ambulances. Warning: The following clip has been proven to cause epileptic seizures in photosensitive individuals. Watch at your own risk. Exacerbating the problem were evening news broadcasts about the incident: Some of them, for some reason, thought it was a good idea to re-play the clip that was making children sick in reports about a TV show that was making children sick, causing a second wave of hospital visits among kids who had watched the news. Most of those affected were discharged quickly, but a CNN report from 1997 says that 200 people between the ages of 3 and 58 were still in the hospital the following morning. By the time kids arrived at school on Wednesday morning, the “Pokémon shock” incident was dominating both schoolyard conversations and the national media. Police were dispatched to question the show’s dumbfounded animators, the Health And Welfare ministry called an emergency meeting, and the show was put on hiatus as people tried to figure out what the hell had gone wrong—and who was to blame. Nintendo was quick to absolve itself of blame, with president Hiroshi Yamauchi telling the press, ‘’This problem arose because of the way TV Tokyo produced the show.” But Takemoto Mori, the program producer, told The Japan Times that, like all episodes of Pokémon, “Dennō Senshi Porigon” had been pre-screened by producers and individual TV stations before broadcast, and another producer added that they had used the “paka paka” technique as a device to create tension “hundreds of times” before without incident. In the aftermath of “Dennō Senshi Porigon,” shares in Nintendo dropped 5 percent, video stores across the country pulled Pokémon from their shelves, and the episode was withdrawn from circulation, never to be broadcast again in Japan or anywhere else. (Rumors persist on anime forums that the episode was dubbed for American TV, but the tape has yet to turn up.) The panic over the incident made international news, meaning that the first time that many American parents even heard of Pokémon was in articles saying that it would make their children sick. And Western comedies just wouldn’t let the joke die: The Simpsons parodied it in the season 10 episode “Thirty Minutes Over Tokyo” in the form of a TV show called Battling Seizure Robots, and South Park gave Kenny a seizure while playing a Pokémon-type video game in “Chinpokomon,” which also aired in 1999. And so, by April of 1998, Pokémon was back, with an edited introduction, warning labels slapped on each episode, and a heartfelt apology from a cheerful TV presenter who explained that experts had determined that it was the frequency of the red and blue flashes in the episode that caused the mysterious outbreak. Thus, a new set of guidelines for animation were introduced. The color red, which was found to be especially triggering, could not flash faster than three times per second; flashes of any color could not exceed five per second; and the flashes could not exceed two seconds in length. Striped and swirling patterns were similarly suspect. Part of that is sheer statistics; more than 4 million people tuned in for “Dennō Senshi Porigon,” and with one in around 4,000 of them—or 0.5-0.8 percent of kids aged 4-14—vulnerable to photosensitive epilepsy from flashing high-contrast lights, the 0.9 percent of children surveyed by Japanese physicians in the months following the incident who had actually suffered seizures is only slightly higher than average. And in a 2004 letter to The New England Journal Of Medicine, Dr. Akihisa Okumura wrote that, while the recurrence of seizures in patients treated for Pokémon-related ailments initially seemed to be split between those who had epilepsy and those who didn’t, further study concluded that the majority of the non-epileptic group simply hadn’t been diagnosed yet. But what about the kids who weren’t actually epileptic, or who experienced more mild symptoms? Another corroborating factor seems to have been the small rooms and big TVs typical of Japanese apartments in the late ’90s. Children who had the most violent reactions to the episode were found to have watched the show in a dark room sitting close to their TVs, meaning that mom was on the right track when she told you not to sit too close to the TV because it was bad for your eyes. Not only that, but the episode aired close to exam week, a time when junior high students in particular were under massive amounts of stress. Does that mean that the U.S. Army was wasting its time when it released a top-secret document proposing a Pokémon-inspired weapon that would use “electromagnetic pulses” to overload enemies’ nervous systems until they fell into convulsions? (“The photic-induced seizure phenomenon was borne out demonstrably on December 16, 1997 on Japanese television when hundreds of viewers of a popular cartoon were treated, inadvertently, to photic seizure induction,” the 1998 report reads.) Aside from photosensitive epilepsy sufferers, probably. But for those people, the danger is very real. Just a few weeks back, a Texas grand jury determined that a GIF sent to Vanity Fair writer Kurt Eichenwald that triggered a seizure could be considered a deadly weapon, given that Eichenwald is quite open about his epilepsy diagnosis. And with social media becoming increasingly integrated into our daily lives—and the internet being the vast, largely unregulated wilderness that it is—it’s not hard to imagine that someone is out there cooking up a GIF that could lay low thousands right now. So be careful what you click on, and seriously—don’t sit so close to the TV.